Breast cancer results from time-related complex interactions between internal and external factors. 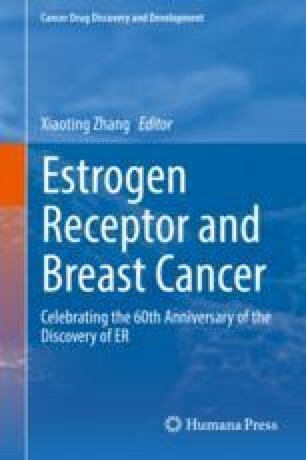 In addition to endogenous estrogens, which play an undisputed role in breast tumorigenesis, exogenous compounds which mimic the actions of estrogen and are referred to as endocrine disruptors (EDCs) or xenoestrogens have strong impacts on breast development during the perinatal period and on carcinogenesis in adults. EDCs include natural compounds such as phytoestrogens and mycoestrogens, as well as numerous man-made chemicals which are widely used by the agriculture, chemical, food, and cosmetic industries, and are included in multiple everyday consumer products. This chapter reviews the evidence on human exposure to the EDCs, their in vitro and in vivo effects on breast cancer, and their proposed mechanisms of action. Emphasis has been placed on bisphenol A (BPA), a prototypical xenoestrogen whose adverse health effects have attracted considerable attention by scientists, industry, regulatory agencies, and the public at large. The disparate positions on health hazards by BPA, which have been undertaken by the chemical and food industries, environmental advocacy groups, health organizations, and regulatory agencies, are reviewed and criticized.